For over 50 years Nike has been designing top of the line sportswear and is one of the most valuable apparel brand in the world. It is the world’s largest supplier of active wear for a reason. In the past (and possibly even now), people were skeptical that Nike’s running shoes are not designed for professional runners. Nike running shoes only emphasize on design and appearance. Now, things have changed Nike is trying to improve their running shoes performance by using various of new technologies, yet, it still maintains their attractive design and appearance. Nike has incorporated innovation and creativity in its designs by introducing the Air Max series, Flyknit technologies and waffle skin outsoles. If you look closely at the pictures of the first few players in the marathon race, you will find that most of them are wearing Nike running shoes. Nike running shoes have many series, and each serie has many different models, but do you know how to choose running shoes for your running needs? This article will explain the pros and cons of each Nike running shoes series. Let’s find the best Nike Running shoes for your next run! Before we going to each series, do you know how to choose a running shoe for your feet? If you are not sure, I strongly suggest you to checkout our article about How To Pick The Best Running Shoes. Now, let’s go thru each Nike running shoes series! Before introducing this series of running shoes, take a look at the Air Max technology. This year marks the 31th anniversary of Air Max 1. Air Cushion Technology is an integral part of Nike, it was officially launched in 1987. It is the first Air Max 1 running shoe equipped with the visual Air Max technology. 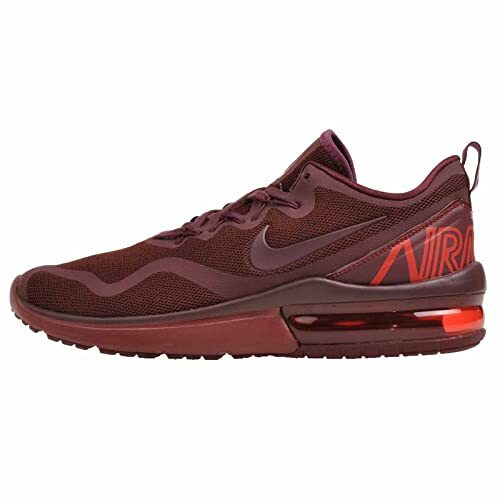 Nike Air Max technology is loved by everyone – from athletes to amateur runners because the cushioning decreases the chance of shock-related injury to the bones, muscles, and tendons of the foot and lower leg. It can also reduce the energy it takes to run, walk, or jump and put less strain on your muscles. And the best part, NIKE AIR cushioning never compacts. It cushions as well after 500 miles as it does the first, making these shoes highly-durable and comfortable. For more than 30 years, Nike has continuously researched and developed this technology, continuously innovating. Air Max has also won the recognition of the market with its outstanding performance. From the first generation of Air Max to Air Vapormax, Air Max can bring you surprises on every generation. The main technologies in these shoes are: AIR cushion, Flywire technology, Flyknit uppers, Cushlon cushioning technology. Air Max series currently have these popular models: Air Max2017, Air Max Fury, Air VaporMax. Finally, there is some changes in the Air Max series. 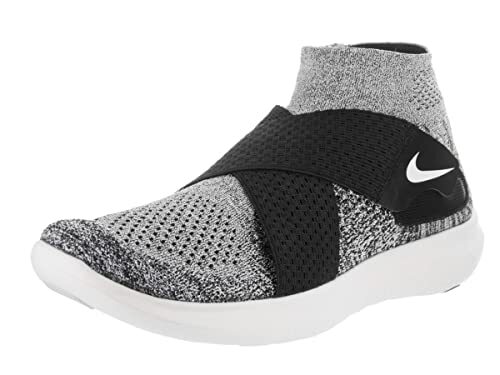 A new design of air cushions, removed Flywire technology, removed Flyknit fabrics, and the upper was made of mesh fabric combined with foam which made the shoes very comfortable. In addition to the all-black color scheme, the gradient upper design is very sharp. 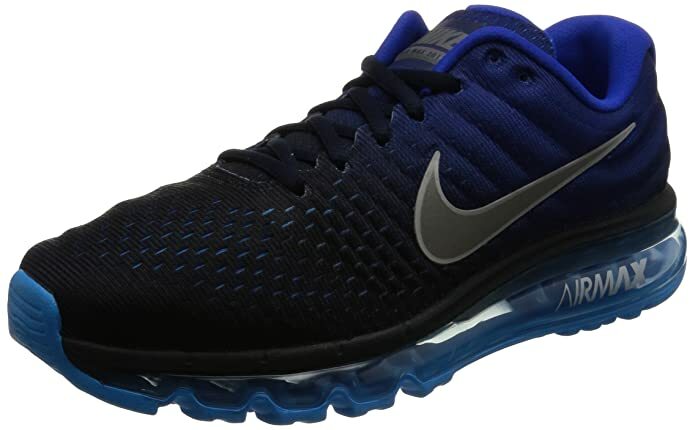 For more information about NIKE Men's Air Max 2017 Running Shoe，please check out customer reviews on Amazon. This new Nike Air Max Fury running shoe combines a breathable single layer mesh upper, a reliable Max Air cushioning system, and streamlined design to meet the daily sports needs for many sports fans. At the same time, beautiful designs and colorful color schemes have become a great selling point for this running shoe! For more information about Nike Men's Air Max Fury Running Shoes，please check out customer reviews on Amazon. VaporMax Flyknit is Nike's new running shoes in 2017. The cushioning performance is outstanding. These running shoes look really cool and offer a wide range of color schemes to choose from, however, it is a little expensive. The innovative Air VaporMax Flyknit design, which aims to present the changing colors of the sky from dawn to daytime. It is specially designed for runners who want to run with style. 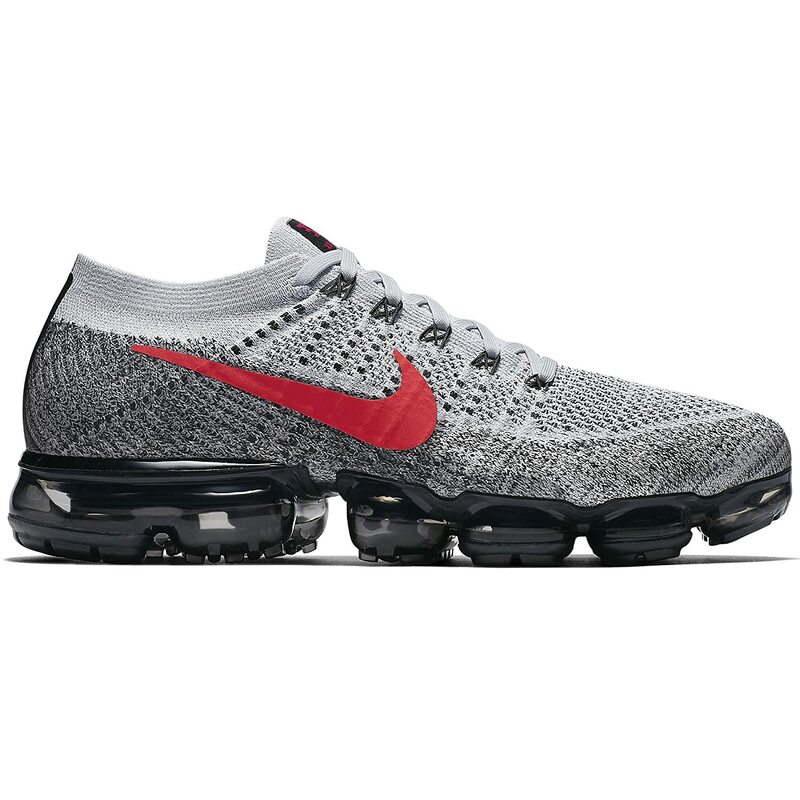 For more information about NIKE Men's Air Vapormax Flyknit Running Shoes，please check out customer reviews on Amazon. This is one of the most popular shoes by runners in recent years. Generally, it used deep-line cutting with lightweight EVA or lunar materials, making the shoe sole with excellent mobility and good cushioning. This series of shoes make running very comfortable. The heel is made of BRS1000 carbon fiber rubber, but it will leave black marks on the ground when it is rubbed violently. The main shoes: Free RN Motion Flyknit, Free RN Flyknit, Free RN, etc. Power through your next run in the Nike® Free RN Flyknit 2017 shoes for premium support and lightweight cushioning you can count on mile after mile. 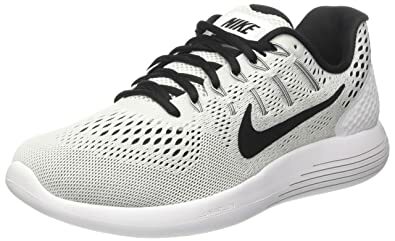 These Nike® shoes deliver a comfortable fit with a flyknit upper that gives zoned stretch, and flywire technology that integrates into the laces for a supportive, dynamic fit through the midfoot. An auxetic outsole adjusts to every step so you have flexibility and support with every wear of the Free RN Flyknit 2017. For more information about Nike Mens Free Run Flyknit Running Shoes，please check out customer reviews on Amazon. This Nike Free RN Running Shoe features a designed midsole pattern that expands, flexes and contracts with your foot with every step. It’s lightweight, breathable mesh upper helps keep your feet cool and comfortable from start to finish. An engineered mesh provides lightweight, flexible support and breathable comfort. Flywire cables integrate with the laces and can be adjusted for an adaptive fit. 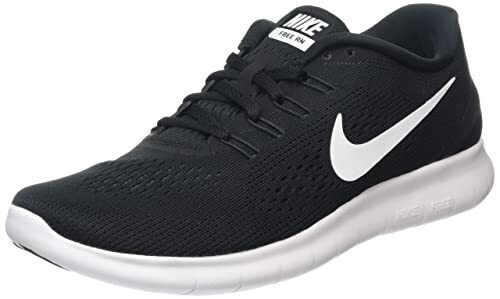 For more information about NIKE Men's Free RN Running Shoe，please check out customer reviews on Amazon. The new Nike running shoes Free Run Motion Flyknit 2017 is finally here. As the newest member of the Nike Free family, the Free Run Motion Flyknit 2017 uses all Flyknit knitted materials to provide a breathable experience. The biggest feature is the elimination of the traditional shoelace system. This running shoe is very flexible and comfortable. 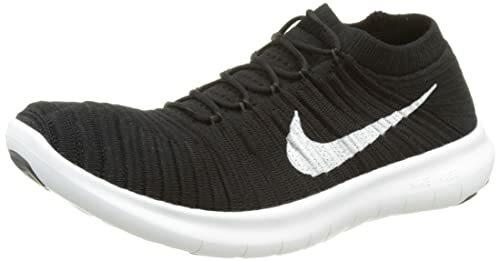 For more information about NIKE Men's Free RN Motion Flyknit Running Shoe ，please check out customer reviews on Amazon. The Lunar series has many different names, such as Lunarglide, Lunarlon, Lunarspeed, Lunartempo, etc. They all used the same core technology called Lunar technology. In simple terms, it is a soft cushioning material which offers resilience, support and a bouncy responsiveness to your feet for those long, tiring runs. Compared with other cushioning technologies, it is soft and elastic, and the running shoes equipped with Lunar technology have excellent cushioning experience, softness and stability, and comfort in the middle of the foot. Lunar running shoes are generally suitable for long running. The main technologies are: Lunar cushioning material, Dynamic Fit technology, Flywire technology, Flyknit shoe weaving technology, etc. The sole uses EVA material, built-in Lunarlon, it provides lighter and softer cushioning. The heel design made feet feel very comfortable. Nike Lunarglide 8 Running Shoes enhanced the cushioning experience when the feet touch the ground, making you feel like stepping on marshmallows. However, there is still a shortcoming, since the EVA material directly contact the ground and there is no application on outsole, it wears out pretty quickly. TPU support is embedded in the heel of the shoe, which can effectively lock your heel and make you steady and powerful at every step! Also, the reflective design enhanced night running safety. What made us pick this shoe in one of our top choices is its ability to compete with some of the more illustrious lightweight stability shoes in the market without having the same hefty price tag. 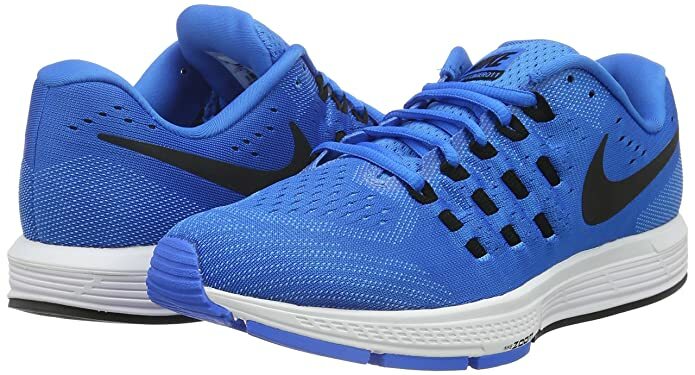 For more information about Nike Men's Lunarglide 8 Running Shoes，please check out customer reviews on Amazon. Lunartempo 2 uses seamless one-piece splicing engineering mesh material with double Flywrie design, the shoe's fit and breathability are worth waiting. The midsole uses Lunarlon foam that is 30% lighter than traditional foam materials, which greatly reduces the weight of the shoes. Stepping on Lunarlon's midsole, it feels soft and comfortable, This shoe is very light. Soft waffle-shaped rubber outsole design, shoe grip is great, but wear resistance could be a problem. Lunartempo 2 is a pair of cushioning lightweight running shoes, suitable for people with normal feet. It is not recommended for people with flat feet or heavy weights. The exotic color schemes and design has made many people a fan of the Lunartempo 2. 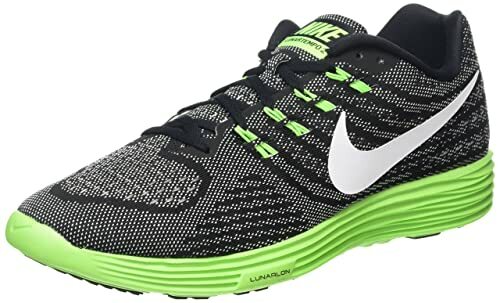 For more information about NIKE Men's Lunartempo 2 Running Shoe，please check out customer reviews on Amazon. Zoom series are used in basketball field. It is known for its fast response, flexible feedback, and instant cushioning. Suitable for speed running, mid-range running; The Zoom technology air cushion response is quite good. The quick response and rebound make it play a very well in speed running. Related shoes include Air Zoom Pegasus, Air Zoom Structure, Air Zoom Vomero, etc. The Nike Air Zoom Pegasus has kept most of the features of the previous version, only updating the features of the upper. Like its predecessors, the Pegasus 34 has a level of durability and comfort that provides an incredible support and allows great foot control. Built for beginners and experienced runners, the Nike Air Zoom Pegasus 34 Running Shoe features an updated, lighter Flymesh material that helps reduce heat buildup when you run. The tried and true cushioning and support runners have come to love remains. When you see a pair of Nike air zoom structure 20, you are likely to be excited about this unusual shoe. From the appearance point of view, this shoe is enough to catch most consumer's attention. In terms of stability, the performance of the Nike air zoom structure 20 is outstanding. In order to improve stability, The Nike Air Zoom Structure 20 has increased the width of the forefoot from the previous design. The widened forefoot shoes really make the shoes more comfortable. What's more important is that Structure 20 has added Air Zoom air cushions to the forefoot to increase the sense of landing. The Dynamic Support technology is simply a foam material which made your feet feel very comfortable. Structure 20 uses three materials in the midsole buffer: Phylon foam, Cushlon foam, and Air Zoom air cushion on the forefoot. These three kinds of materials are most commonly used in Nike's running shoes. 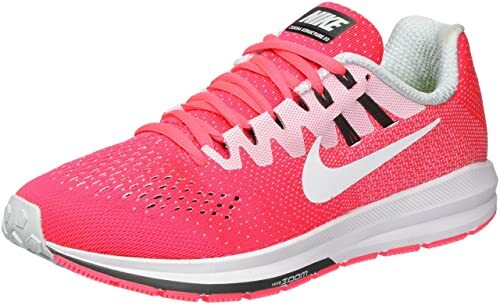 For more information about NIKE Women's Air Zoom Structure 20 Running Shoe，please check out customer reviews on Amazon. Nike Vomero Zooms are simply the best casual and running shoes for your feet. First of all, the thick insole and Lunarlon midsole make the shoes feel really soft and comfortable. This shoe is suitable for people of all weights. It comes with different width options which allow the shoe to accommodate many foot-types. Engineering mesh design makes shoes lighter and more breathable. The upper Flywire has also been modified to provide better grip and stability. Feelings on the upper legs are better than the previous generation. The cushioning, as always, respond quickly to each rebound. The sole has a certain thickness which is suitable for people with heavy weight. 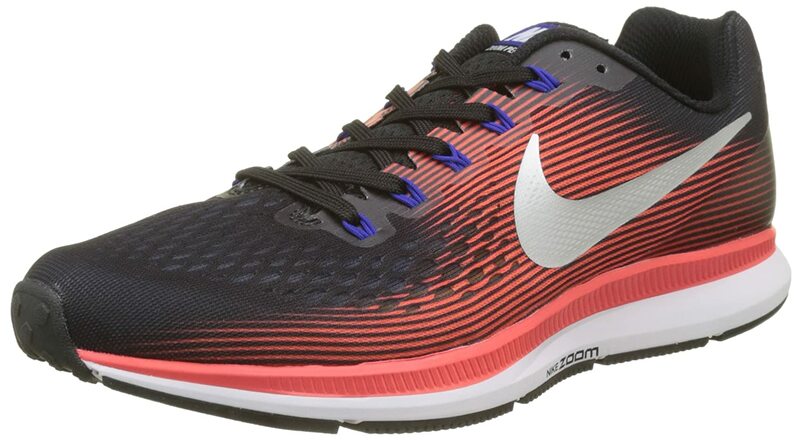 For more information about Nike Men's Air Zoom Vomero 11 Running Shoes，please check out customer reviews on Amazon. For better understanding of which Nike shoe is best for running, we are further breaking down the upper shoe and midsole components, so that you can an insight of what you’re actually getting with each shoe. Flyknit is a special fabric woven by placing yarns and knits tactically around the shoe structure in order to make the upper feel like a sock. It provides support to the feet of the runner when needed and leave it free everywhere else. This technology makes Nike running shoes lightweight, flexible, robust and give your feet a seamless fit. Flymesh is kind of an engineered mesh that is lightweight, more breathable, flexible and durable than any traditional kind of mesh. It is made in a complete different way than the previously mentioned Flyknit and shoes engineered with flymesh usually cost less than other Nike shoes. Lunarfoam, also known as Lunarlon, is Nike’s softest, most cushioned and lightest foam material. If you are looking for a shoe that offers a soft, comfy cushioned ride, then go with the Lunar series. Phylon is Nike’s basic foam compound that is used in most shoes. It is made of EVA Foam Pellets that are compressed then heated to expand and finally cooled into a mold. This foam is easy to recognize by the appearance of fine wrinkles on it after usage. This foam is a made with Phylon and rubber is added to it to make it light in weight and responsive. From entry level to advanced level, from barefoot to stability, Nike’s various series of running shoes basically cover all types of runners’ need. They are the top running shoes for your workout. After going thru these nike running shoes, you should know how to choose the best Nike running shoes for you next run. The bottom line is, if you are a speedrunner or basketball player, choose the Zoom series, if you are long runner, choose lunar series, for regular running, try the Free series, for trending, buy the Air Max series. Hope these tips help, enjoy your run. By the way, you can also check out these Adidas Ultra Boost shoes as well.